When Dipa Karmakar slumped into a chair at the Rio Olympic Arena on Sunday after her "vault of death" did not go to plan, the glazed look in her eyes suggested her 2016 Games were over. 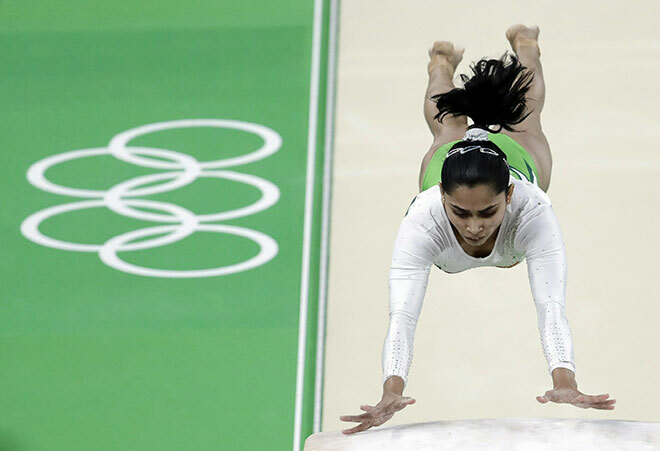 Seven hours later the smile was back on her face as the 22-year-old realised she had clinched the eighth and last qualifying place for the vault final and could become the first Indian to win an Olympic gymnastics medal. 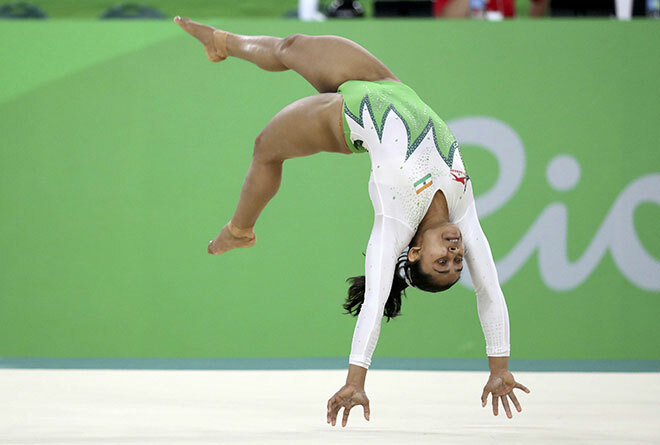 Karmakar had one of the highest difficulty (7.000) among the women for her risky Produnova vault - a front handspring into double front somersault - but failed to pull it off cleanly as her bottom touched the mat before she bounced back on to her feet. A score of 15.100 was much lower than she had hoped for and when she stumbled sideways following her second vault to earn 14.600, she knew her average score of 14.850 - that left her sixth in the standings at the time - could be overtaken since more than half the field had yet to compete on her signature apparatus. "As the Produnova vault was the first thing I attempted today and it did not go as expected, it immediately put me in a bad mood," Karmakar, the first Indian female gymnast to qualify for the Olympics, told Reuters in her native Bengali. "It wasn't very good. I was hoping for a better score from the first vault and because it was low, I was really disappointed. My landing had been better in training. My hip touched the mat today which wasn't in the plans." During the course of the next seven hours, only gold medal favourite Simone Biles, who topped the standings with two spectacular soaring vaults that both breached the 16-point barrier, and Canada's Shallon Olsen leapfrogged the Indian trailblazer. That meant Karmakar was back in the athlete's village when she realised her 23rd birthday on Tuesday would be a double celebration as she can look forward to competing in the vault final next Sunday. "That I have reached the final is an amazing achievement. My coach is very happy because I executed what he had taught me to do," added Karmakar, who last year became the first Indian to compete in an apparatus final at the world championships.